I was at dinner in New York for 205, and we bumped into each other…When we were leaving he said to me, ‘When’s your boy going to fight Floyd?” and I said “My boy? Who are you talking about, Conor? Floyd doesn’t want to fight Conor.’ And he said, ‘He does. He’s dead serious about it.’ And I said, ‘I don’t know man. Call Floyd and see what’s going on’. So that’s how the whole thing got started up again…Look how long it took [Mayweather-Pacquiao] to get that done and they’re both in the same sport. I highly doubt this fight will ever happen. Despite his bankruptcy, Jackson posts an Instagram of an African mansion he is building. bankruptcy. He doesn’t mention the location. My crib is almost finished in AFRICA. I’m gonna have the craziest House warming party ever…I’ll explain later. I got a good life Man. 50 Cent calls AT&T “racist” in posts on his widely-followed Twitter and Instagram accounts. He says AT&T wants to keep “urban friendly” programming off its lineup. Man Im sorry I have to say this, but AT&T is racist they have had issues in the past and here we go again. 500,000 homes will not be able to view the next episode of POWER…When this was happening they were saying they had the STARZ and other networks that created programming targeting multiple ethnicity’s now I guess (THERE NOT F–KING WITH N—-S).SMH…Change your cable package from AT&T to anything else. It’s 2015 and these people are still racist. They are dropping all channels that are considered urban friendly. Starz and their paid talent can spin up whatever they like, but the bottom line is we’re NOT going to negotiate a deal that is bad for customers. In these negotiations, our customers are all that matter to us. I’ve seen so many things said about me in social networking at points. When you don’t anticipate it it lands a little harder on you. This I can telegraph, I can see what’s gonna come from people when they see this in advance. It’s a move that’s necessary for me to make at this point so I didn’t allow myself to create that big red/white bullseye on my back when I become the person that people consistently come to. 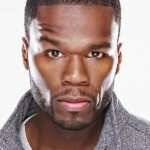 In Connecticut Bankruptcy Court 50 Cent declares he owes $28,478,920, while saying his personal assets do not exceed $15 million. He owes $18,428,257 to Sleek Audio, for copying a headphone design, $5 million to Lastonia Leviston for emotional distress and for violating her rights, over $1 million in legal fees, $137,880 for a Bentley car lease, and other small debts. This filing for personal bankruptcy protection permits [him] to continue his involvement with various business interests and continue his work as an entertainer, while he pursues an orderly reorganization of his financial affairs. [We are] disappointed in the verdict but very appreciative of the service of the jury and the court. 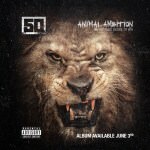 50 Cent is plans a weekend party for a select group of his fans to promote Animal Ambition. Fans who spend $5000 will get a bundle that includes the album, limited edition T-shirts, earphones and a weekend stay at his mansion. You and 2 of your friends will get to Hang out with 50 at his Mansion in Connecticut for the Weekend and get to experience the good life. We came up with, ‘Maybe if we have a weekend…’ where they can hang out (with me)… at the house. It sold out… It’s gonna be a party. I’m actually gonna lock my (bedroom) door that night. 50 Cent releases Animal Ambition, his fifth studio album. The album features guest appearances such as Yo Gotti, Trey Songz, and Jadakiss and is projected to sell 30,000 copies its first week. 50 Cent executive produces Power, a Stars original series. Wealthy club owner James “Ghost” St. Patrick (Omari Hardwick) is trying to leave his drug dealing past. The show’s premier will be available for free. 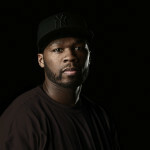 50 Cent performs In Da Club on Good Morning America from his album Get Rich or Die Tryin. 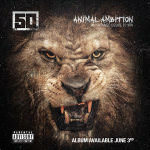 50 cent releases the cover art for his fifth studio album Animal Ambition. 50 Cent performs In Da Club during the Brit Awards show to promote his album Get Rich Or Die Tryin’. Winfrey interviews 50 Cent in a one-on-one session that deals with his drug dealing past, balancing rapping and acting careers simultaneously, and being shot nine times. It doesn’t hurt as much as people think it would hurt because of your adrenaline the shock of whats going on. It hurts after. I didn’t even know my legs were broke when I tried to get out the car. 50 Cent gives an interview to The Talks. He discusses how he was a better drug dealer, why time is precious, and his different image. The guy that has on athletic inspired clothing might be someone that you could point to and say, “That’s hip-hop.” The baseball hat, the different things, the do-rag, I suppose could be something you would identify with me as an artist. When you start to dress with more casual clothing or more professional clothing, like a suit, people start wondering. The jewelry I think comes from not having. From not having, you aspire to live life on the highest level possible. When you start off not even being able to fantasize about buying your own car, you buy one as soon as you’re able to. Nicole Scherzinger and 50 Cent perform Right There during The Ellen Show to promote Scherzinger’s album Killer Love. Handler and 50 Cent are dating. The couple are spotted partying together and Handler posts a picture of them together in bed. He’s a very sweet, nice guy. I was sampling, kind of, the atmosphere, seeing what was out there, and I was satiated. 50 Cent, Dr. Dre, and Eminem wins the Grammy for Best Rap Performance By A Duo Or Group for Crack A Bottle. The artist releases his single, We Made You, from the album, Relapse. The song was produced by Dr. Dre. 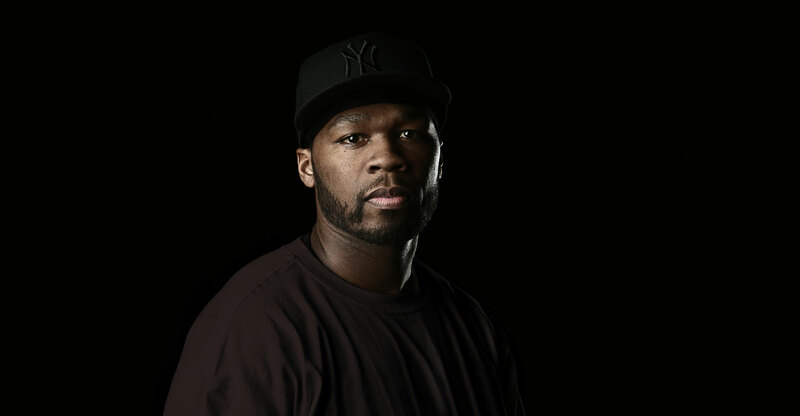 He and 50 Cent make cameo appearances in the music video. The artist releases his single, You Don’t Know, featuring 50 Cent, Lloyd Banks, and Cashis, from the album, Eminem Presents:The Re-Up.